Should You Shop for a Used SUV at Pathfinder Dealerships in New Orleans, LA? Not everyone is in a position to buy a new vehicle, and not everyone wants to anyway. If you think a used SUV makes sense in your situation, you’ve got a big choice to make: Do you buy from a private seller in New Orleans, LA, or should you search at some Pathfinder dealerships? Private sellers aren’t always a bad option, but dealerships can offer some advantages that you can’t find anywhere else. Keep these factors in mind when you consider where to choose your next Pathfinder. Picking good Pathfinder dealerships can confuse a shopper. There are so many places that have used models, so how can you know where to go. One of the best ways to identify a quality dealership is to read about previous customers’ experiences at different places. Online reviews are an excellent source of information for deciphering the good, bad, and ugly of dealerships. However, if you elect to go with a private seller, you’ll have to trust this person will treat you fairly and won’t pull a fast one on you. It’s easier for shoppers in New Orleans, LA, to pay cash for a used vehicle than it is for a brand-new model. Still, many people don’t have the money to get away with this. Thankfully, the best dealerships have in-house finance teams that can hook you up with financing. A specialist will review your income and credit to see what fits in your range. If you buy from a private seller, you’ll almost definitely have to pay with cash before you take the keys. Buying a car can involve a lot of paperwork and some important steps. You don’t want to miss anything along the way. Fortunately, Pathfinder dealerships have a dedicated staff to walk you through every step. An associate will answer your questions and concerns to make it as pleasant an experience as possible. Private sellers may not have this kind of patience and aren’t as likely to provide this level of customer service. A dealership has the experience and expertise that a private seller in New Orleans, LA, can’t match. Plus, you should go to a dealership because it will have a variety of models to choose from. 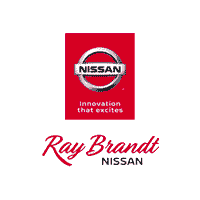 Of all the Pathfinder dealerships you could visit, make sure you do business with Ray Brandt Nissan. This is the place to come when you’re looking for a vehicle to drive in New Orleans, LA.